Fall is here and there is a chill in the air! While I am a coffee girl in the morning I like to drink other things in the evening. Whether it’s hot tea or cider or hot chocolate, it’s usually not coffee if it’s later in the day. 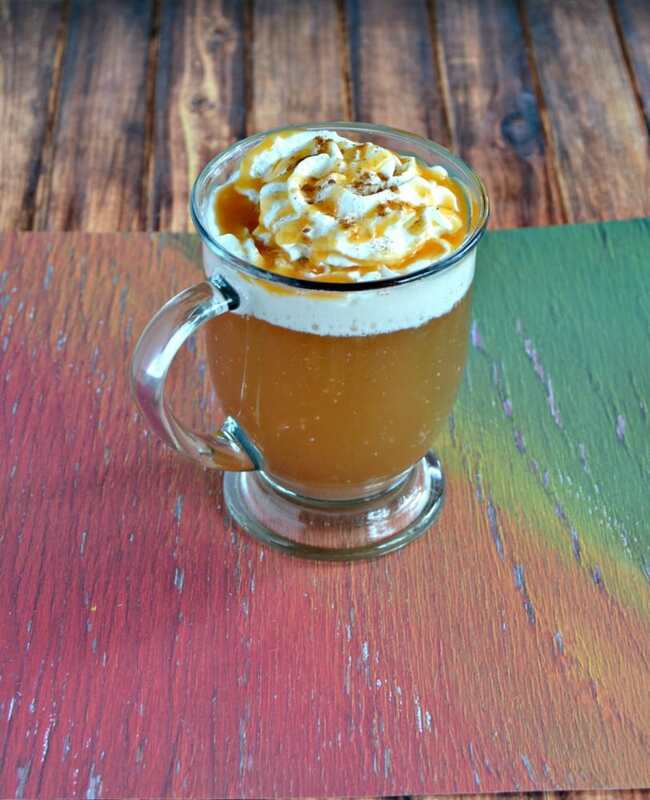 Since I’ve been on an apple kick this fall I wanted to make a delicious apple beverage. I’ve had a lot of apple ciders in my time. I love it served hot with cinnamon on top. I’ve bought it at the market, gotten it at farms, and have had it at parties. While I’ve used it in many recipes I’ve never made it myself. I guess I wasn’t sure how exactly to go about making a tasty apple cider. This recipe uses the slow cooker so it makes a good amount of cider. I actually cooked up a batch then put the leftovers in a container in the refrigerator. For the next few days I ladled out the amount I wanted and heated it in the microwave. It was still delicious! I’d say it’s best enjoyed within 3 days but is good up to 5 days. 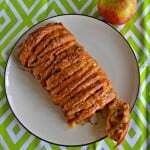 The recipe starts with apples, an orange, water, and spices in the slow cooker. After the apples are soft you mash them up with a a potato masher or something similiar. I used my jam masher. Then you strain everything through a fine mesh sieve and put it back in the slow cooker along with brown sugar and caramel and cook it a bit longer. I ended up adding a bit of boiled cider to my cider. It wasn’t much, just a tablespoon or two, but it packs such a burst of apple flavor. 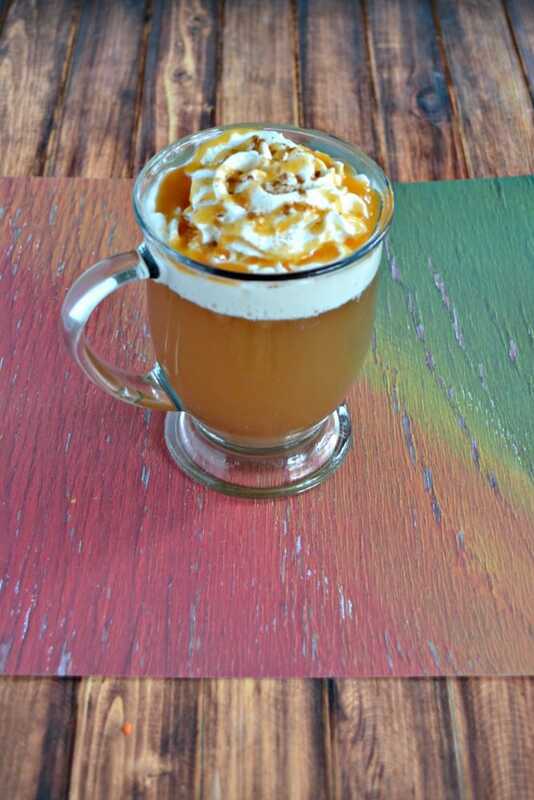 When I was ready to enjoy the cider I ladled it into a mug and topped it off with whipped cream, cinnamon, and caramel sauce. This cider is amazing! 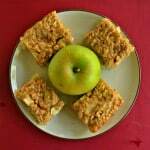 It’s sweet, a little bit tart, and has flavors of apples, spices, and caramel. It’s the perfect fall beverage and it warms you up from the inside. Since it’s made in the slow cooker it would be great to serve at a party or when people come over. Give it a try while apples are in season! 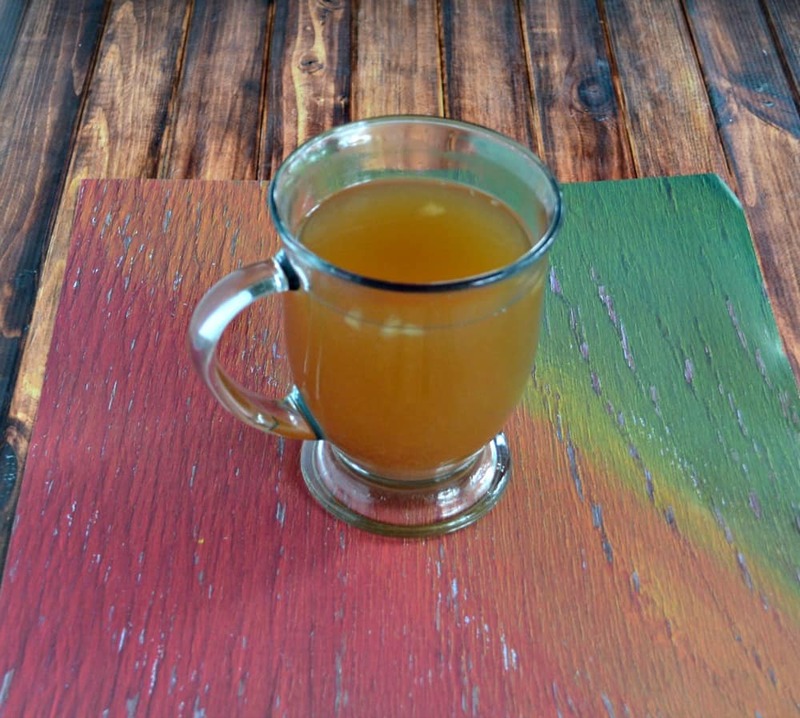 Enjoy a steaming mug of sweet and tart apple cider with hints of caramel in it. Wash the apples and orange. 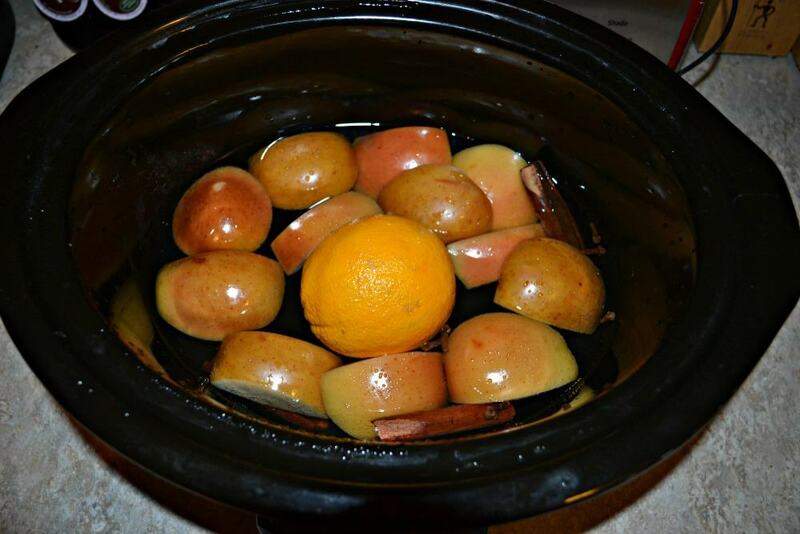 Cut the apples into quarters and place in the slow cooker. Do not worry about the seeds as you will be straining the mixture later. Add the orange, cinnamon sticks, nutmeg, cloves, and water to the slow cooker. Cook on high for 3 hours or low for 6 hours. 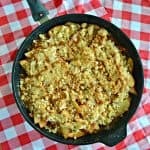 Remove the lid and mash the apples with a potato masher. Make sure they really break up in the slow cooker. Replace lid and cook for an additional hour. Use a fine mesh strainer to strain the contents into a large bowl. Stir in brown sugar and caramel sauce and stir to dissolve. Stir in boiled cider if desired. Pour back into the slow cooker and cook for 30 minutes. 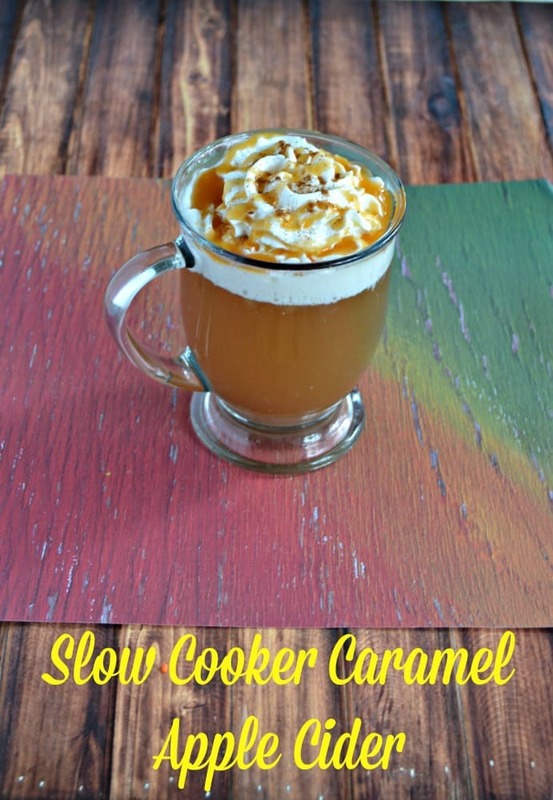 When ready to serve ladle the apple cider into mugs and top with whipped cream, a sprinkle of cinnamon, and a caramel drizzle. 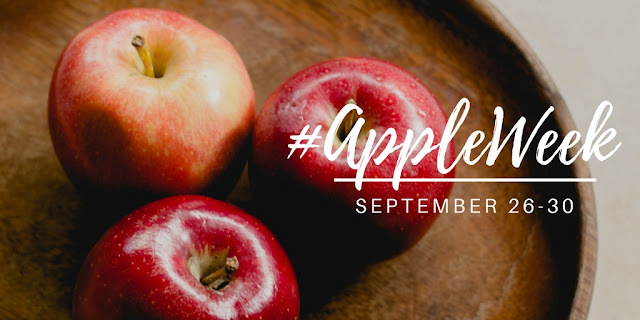 Refrigerate any extra cider for up to 5 days in an air tight container. Oh my goodness, this sounds absolutely lovely and I can only imagine how good it smells while it’s going! It’s so good and smells amazing! Thank you so much for sharing this recipe for homemade cider. I cannot wait to make it myself. It’s so good! You must try it! i love making cider this time of the year! Ill be making this one it looks amazing! Me too! 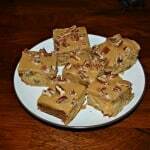 This one is easy and tastes delicious!